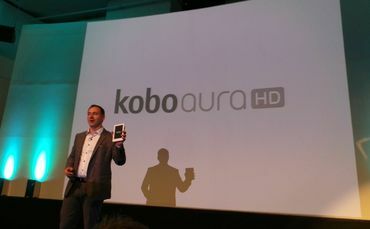 The downswing to the e-reader market brought by the discovery of tablets and mega-screened smartphones has not discouraged Kobo from launching their latest e-book reader, named Aura HD. Aura HD features a 6.8 inch screen which, as per the company is the highest-resolution screen available amongst e-readers launched so far. Aura HD is limited edition gadget and so, if you are interested, you will have to hurry! The company claims that the screen of Aura HD offers 30% higher reading surface area and an experience which is the nearest to reading paper-printed material, with beautifully displayed text and high-resolution pictures. The Pearl E Ink screen’s specifications are 1,440 x 1,080 pixels and 265dpi. 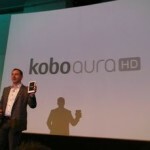 Kobo claims further that the 1GHz processor of Aura HD is fastest by 25% to give excellent e-reading experience. Aura HD is available in 3 colors, Espresso, Ivory and Onyx. According to the company, Aura HD harnesses its strength, speed and style to discover new content easily. Moreover, the gadget presents ten font types for the resolution of the screen and a new modern library display. Aura HD is expected to hit the stores of the UK and Canada from 25th April and internationally from May. It is not clear yet in which countries and if it will be sold in the USA, except online. Aura HD is available for preorder now.